Mansefield Lodge certainly isn’t your average rental property. From the wrought iron entrance gates to the fabulous modern dining kitchen, it’s a home you’ll be eager to show off to guests as soon as you move in. 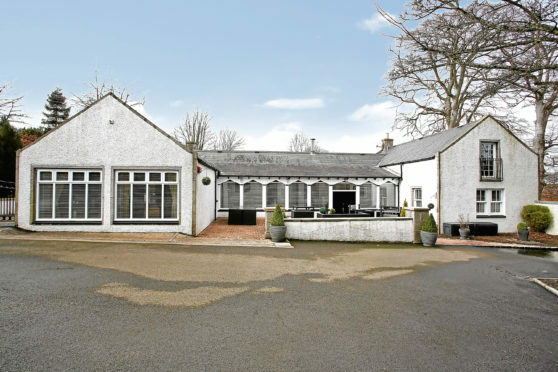 Located on South Deeside Road in Ardoe, Mansefield Lodge is a large four-bedroom property with a wonderfully spacious interior. 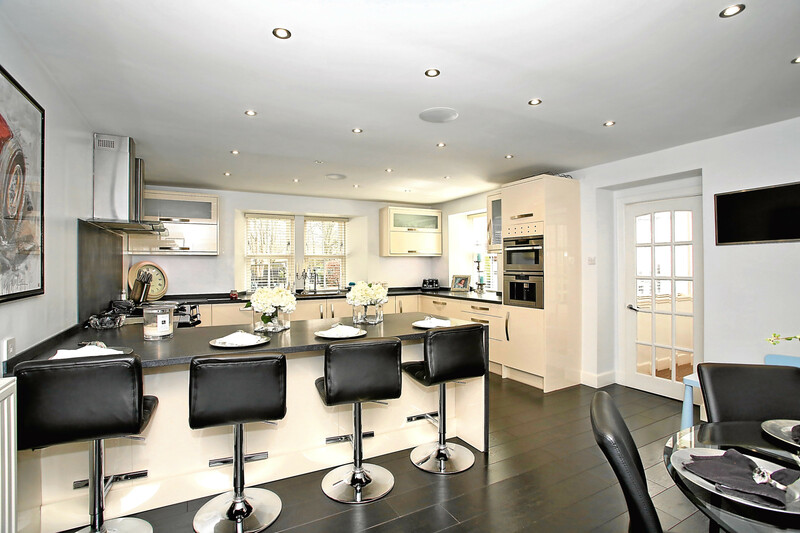 The heart of the home will clearly be the dining kitchen which is fitted with ample unit and worktop space. Getting dinner on the table won’t seem like a chore with the large AGA cooker, while small details like the integrated coffee machine and wine fridge add an element of luxury. The generous breakfast bar is great for casual dining, and with plenty of space for further dining furniture you needn’t be the absent host when entertaining guests. If you’re looking to put your feet up there are plenty of options on offer, with a warm sitting room complete with a coal fire as well as a further formal lounge come dining room. This spacious lounge and dining area is ideal for having friends over, with plenty of room for stylish dining furniture. There is even a surround sound system installed in a number of the rooms to really get the party started. An immaculately finished cloakroom completes this wing of the accommodation. The master bedroom is stylish and bright, with a sliding door which leads to a fabulous private dressing room and en suite shower. The three further double bedrooms are all of a good size and decorated in neutral tones. Finished to a high standard, the family bathroom is fitted with a white three-piece suite. Outside, the property sits in a large plot of land and is accessed via a grand driveway with remotely operated iron gates. There is plenty of space for parking as well as a single garage. A lovely raised decking area is perfect for alfresco dining, while there are several areas of lawn and mature shrubs. There’s even a gardener included in the rent so you needn’t worry about finding time to tend to the flower beds. The surrounding area is green and known for its riverside walks, while the centre of Aberdeen is just 15 minutes away. Mansefield Lodge is available to lease on an unfurnished basis from around £2,200 per month. Contact Stronachs on 01224 626100.